Each year the race is tracked by trackleaders.com, providing a live map, elevation profile and other stats that can be used to follow along. Carrying a SPOT and being tracked by trackleaders is not mandatory but definitely encouraged. Zach Allen and Marco Capote called in their finish call! Mike DeBernardo called in with his finish call. It was a twofer but part 2 was just a beep. Justin Smith called in with a twofer finish call! El Freako Jeff Hemperley called in with his finish call! Derrick Perrin called in from with his finish Picket Post! El Freako Jeff Hemperley called in from Flagstaff! Derrick Perrin called in descending Mt Lemmon! Brett Stepanik called in from Pine! MTBCast: Arizona Trail Race ’17 – Brett Stepanik called in from Payson again with a follow up! Brett Stepanik called in with a follow up from Payson! Brett Stepanik called in from Payson! El Freako Jeff Hemperley called in near Washington Park about to climb the rim! Michael Devitt called in from Picket Post to say he is done! Justin Smith called in from near Pine! MTBCast: Arizona Trail Race ’17 – ustin Smith called in from near Oxbow Estates headed to Payson! Justin Smith called in from near Oxbow Estates headed to Payson! Mike DeBernardo called in from the Butcher Hook! Garrett Alexander called in from Superior to say he’s stopping at the 300mi! MTBCast: Arizona Trail Race ’17 – Joe Paluch called in with his finish call! Joe Paluch called in with his finish call! Evan Sollberger called in from Picket Post with his ITT finish call! Justin Smith called in from Jacob’s Crossing! Derrick Perrin called in leaving Tucson! 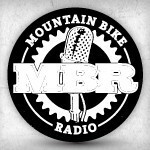 Check out the Mountain Bike Radio Network! MTBCast audio by Joseph Polk is licensed under a Creative Commons Attribution-NonCommercial-NoDerivs 3.0 Unported License. Huracan 300 - 2013 Page! 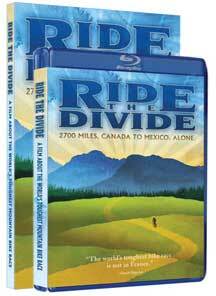 Iditarod Trail Invitational 2013 Page! 2012 Hurocan 300 Challenge Page! 2011 Trans North Georgia Page! 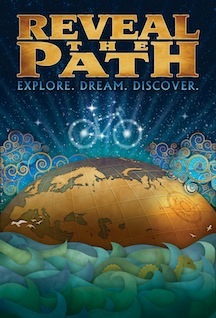 2010 Iditarod Trail Invitation Page! 2010 Trans North Georgia Page!